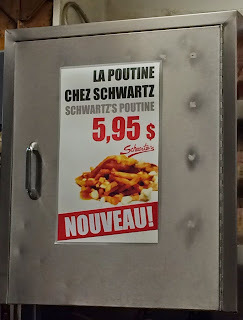 I heard Schwartz's, a Jewish deli, serves poutines but I didn't see it on the menu when I visited in March, 2014. However, last time my husband was there in mid May this year, he saw it's on the menu. Depending on the time, there's a long line so that I decided to go there after 4 PM. I got there around 4:20 PM on a weekday with rain, but there're 5 people outside waiting. At 4:25 PM, I sat at a counter but the seating was very uncomfortable. The chair couldn't be moved and my knees were hitting a wall so that I had to eat with an unwanted posture with pains in my knees. 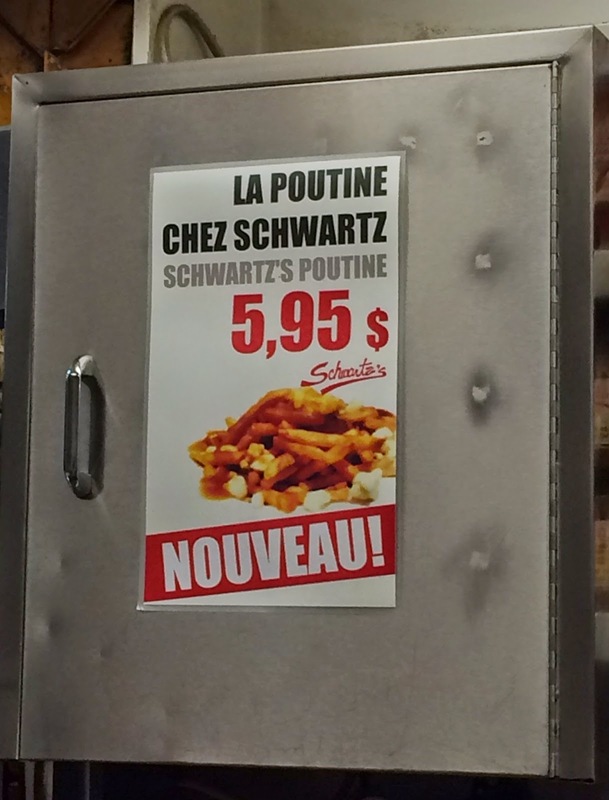 On a cabinet, there's a picture of poutine. Nobody came to take my order so I asked one of the employees whom to order, then he said just a minute. However, another 3-4 minutes I was left alone and no one asked me what I wanted. 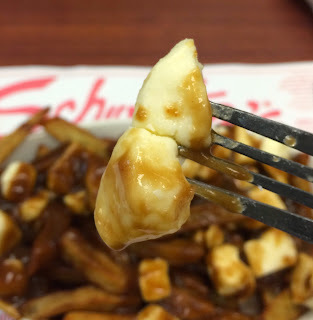 At 4:32 PM, finally an employee took my order and I ordered a poutine, then he confirmed me, "It's just fries with gravy and cheese curds, is it ok?" so I said yes. I think he wanted to make sure I didn't want meat as the restaurant is known for smoked meat. 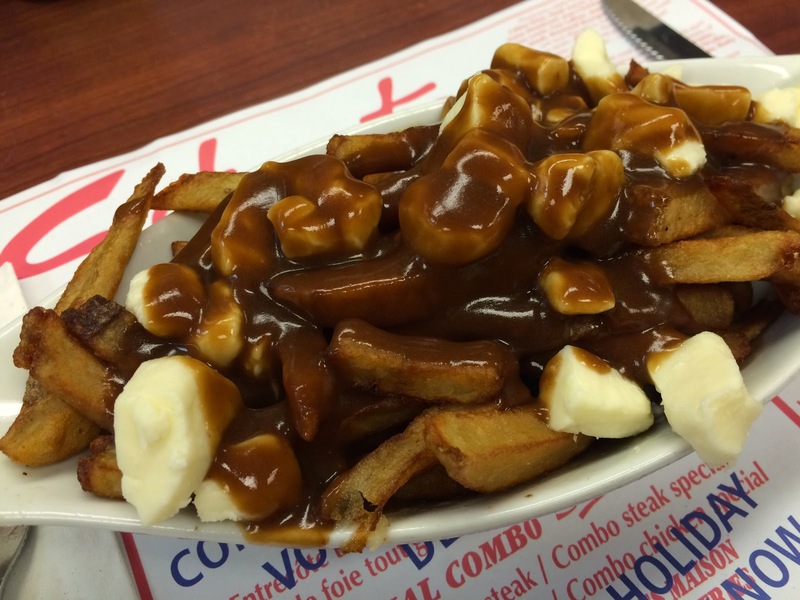 It took them a few minutes to serve me this poutine. The gravy sauce was quite dark and shiny like demiglace sauce. I thought the gravy sauce would be very salty, but I was wrong and it's mild, light, and subtly starchy but no stickiness. It also had some sweet flavor in the end. 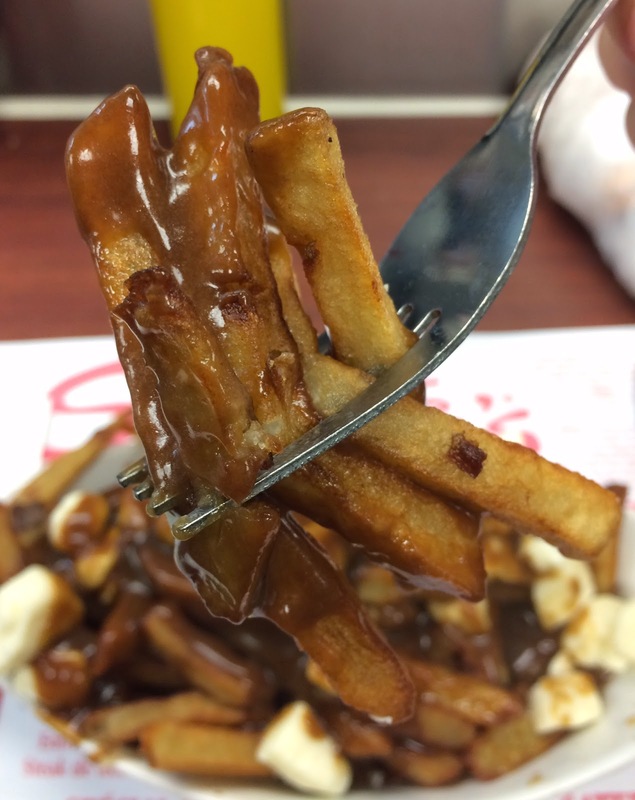 Dark colored fries weren't that crispy and they're rather just greasy. Cheese curds were squeaky, which was great. 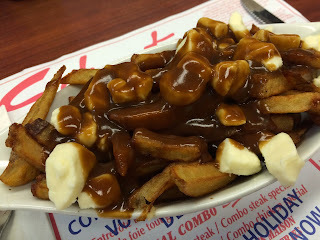 I was hoping that the gravy sauce might have some spices used in smoked meat like KFC, but it's very simple and plain poutine which was a bit disappointing. 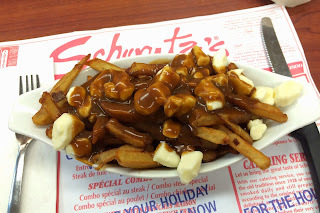 Only the specialty was that I could smell smoked meat all the time while eating no-meat-added poutine.